The rolling green pastures of Devon in southwest England are not the obvious location to find a revolution underway. 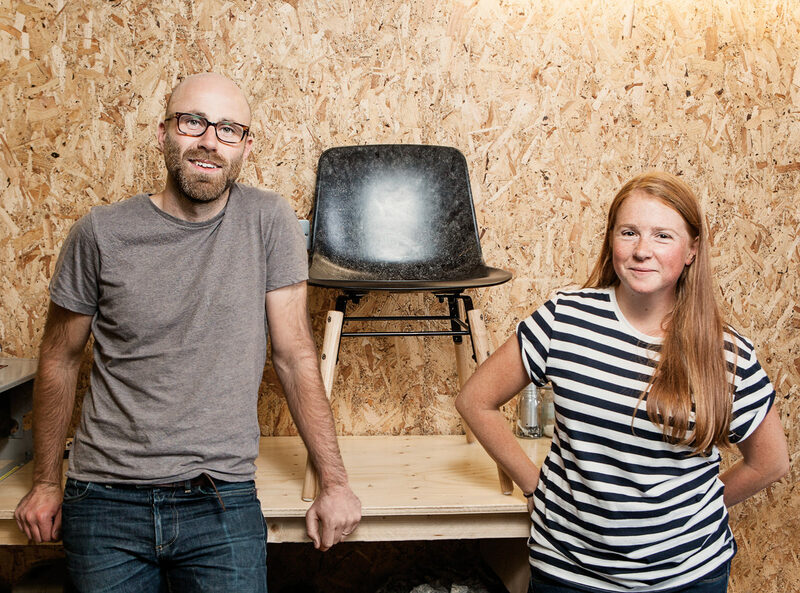 Yet it is here, in the market town of Buckfastleigh, nestled in the Dartmoor National Park, that husband-and-wife team Justin and Hannah Floyd launched their company, Solidwool, two years ago. The rather twee and predictable route of woollen throws, cushions, scarves, socks, and hats is not for them. Instead, they combine wool with bio-resin to form hard and durable surfaces for chairs, tables, and even eyewear. In fact, they see it as a design-savvy and sustainable alternative to reinforced plastics. Buckfastleigh was once an ancient wool town, but has long since lost the industrial heart so long associated with the trade. The Floyds (he is a product designer, she had a successful career in marketing) began to imagine modern ways of working with wool that might harness the skills they had to make a positive change in the community. As Justin explains, the inspiration came from a struggling national industry: “Originally, we wanted to use wool local to Buckfastleigh, but it was the British Wool Marketing Board who suggested we use Herdwick wool from the Lake District [480 kilometres north of Devon], for the simple reason it was in serious decline, having dramatically lost its commercial value in recent years.” In fact, the wool from Herdwick sheep sells for the shockingly low figure of about 40 pence (79 cents Canadian) per kilo, but the lack of customer demand only added to their interest. “We liked the idea of taking something that had very little value and turning it into something that did have value,” he says.